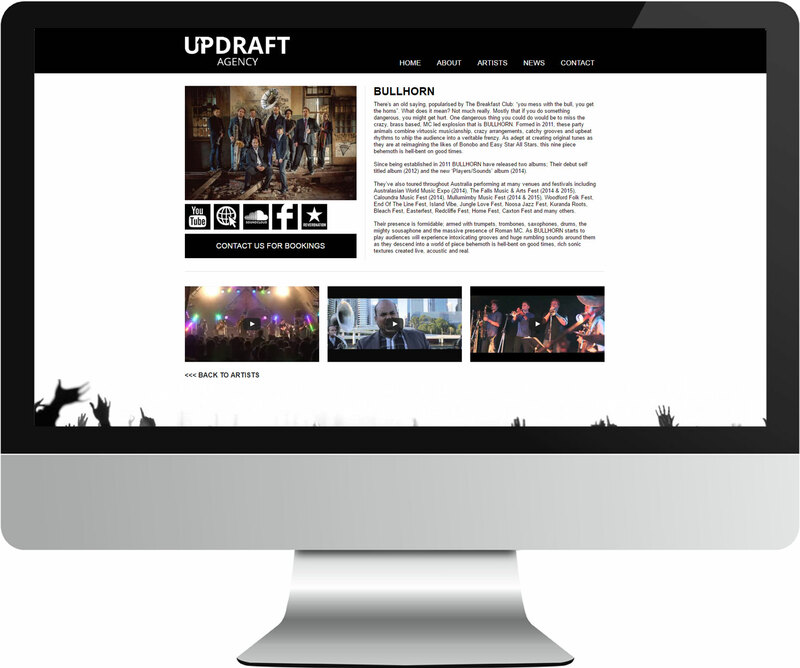 UpDraft is a Brisbane-based band/artist booking agency. Founded by Bullhorn members Steve and Paul, UpDraft looks after bands including DubMarine, Fat Picnic, Annie Tyrell, The Seven Ups and more. We made this website using Drupal to easily add new content promoting the bands and their upcoming gigs. It features a clean full-width design responsive across all devices.